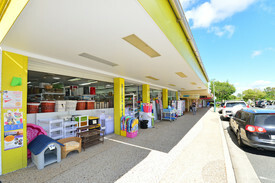 33 Commercial Real Estate & Properties in Tewantin are listed in 2 categories. We have 17 Retail ShopsSale & Lease and 16 OfficesSale & Lease . If you are seeking an affordable office space with great exposure then look no further. 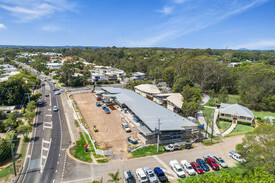 This first floor office has plenty of natural light and overlooks the main CBD in Tewantin. + 76sq m (approx) first floor office + Air conditioning, open plan layout plus boardroom + Additional roof storage area + Communal toilets at rear of premises + Access via stairs onto main street or rear car park + Allocated car parking space directly behind building + Tenancy overlooks main street of Tewantin + Incentives offered to secure quality tenant Call or email Louisa Blennerhassett or David Brinkley to inspect the property or find out about other suitable options. Our team is strategically located in two offices across the Sunshine Coast region and is ready to handle your commercial, industrial and retail property needs today so call or email now. 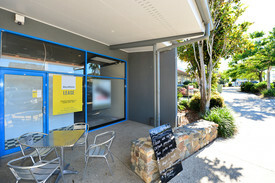 Premium Busy Town Centre Position $171,450pa + outgoings + ..
A freestanding building in CBD position This is a rare find. Whether you require a large retail showroom tenancy or perhaps looking to set up a large medical / allied health practice, this prime street front position is worth taking a closer look at. + 381sq m tenancy on 619sq m site (sizes approx) + Potential for building to be divided into two separate tenancies + Wide street frontage + Air conditioned + Currently trading as discount retail outlet + Delivery access and parking at rear + Situated in centre of Tewantin CBD + Directly opposite Woolworth's anchored shopping centre Call or email David Brinkley to inspect the property or find out about other suitable options. Our team is strategically located in two offices across the Sunshine Coast region and is ready to handle your commercial, industrial and retail property needs today so call or email now. This tenancy fronts Memorial Avenue in Tewantin, directly opposite the RSL and benefits from strong passing vehicle and foot traffic. + 53sq m (approx) internally + Rent discounted to only $20,000 + outgoings + GST for the first year + Potential for food preparation, also suit office, medical or retail + Off street parking at rear + Highly visible location opposite the RSL + Other tenants in the complex include Chicken Shop, Pizza, Asian Cuisine, Barber Call or email Louisa Blennerhassett or David Brinkley to inspect the property or find out about other suitable options. Our team is strategically located in two offices across the Sunshine Coast region and is ready to handle your commercial, industrial and retail property needs today so call or email now. Look no further if you are looking for a ground floor tenancy in a busy town centre. 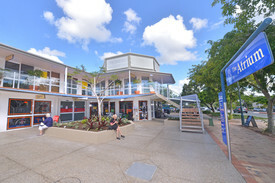 This space offers excellent exposure with frontage onto the main shopping strip in the Tewantin CBD. + 192sq m (approx) ground floor tenancy + Existing fit out includes large open plan retail / display area, two private offices, staff room and back of house storage / work area + Front automatic glass sliding doors + Ducted air conditioning throughout + Rear delivery access + Main road frontage to busy Tewantin CBD + Parking at front and rear of building + Potential retail, medical, office or food use + Available now Call or email David Brinkley to inspect the property or find out about other suitable options. Our team is strategically located in two offices across the Sunshine Coast region and is ready to handle your commercial, industrial and retail property needs today so call or email now. Tewantin's Newest Mixed Use Development From $12,000pa + outgoing..
Office Investment At Reduced Price $130,000 + GST (if applic..
Tewantin's Newest Mixed Use Development From $180,000 + GST (if a..
A first floor office with plenty of natural light overlooking the main CBD in Tewantin. This is an affordable office space with great exposure. 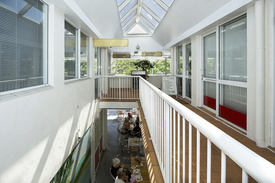 + 76sq m (approx) air conditioned first floor office + Open plan layout and additional roof storage area + If larger space required, the neighbouring 76sq m (approx) office is available to lease + Communal toilets at rear of premises + Access via stairs onto main street or rear car park + Allocated car parking space directly behind building + Tenancy overlooks main street of Tewantin + Incentives offered to qualified tenant Call or email Louisa Blennerhassett or David Brinkley to inspect the property or find out about other suitable options. Our team is strategically located in two offices across the Sunshine Coast region and is ready to handle your commercial, industrial and retail property needs today so call or email now. Private Office With Fit Out Plus River View $21,000 pa + outgoings + ..